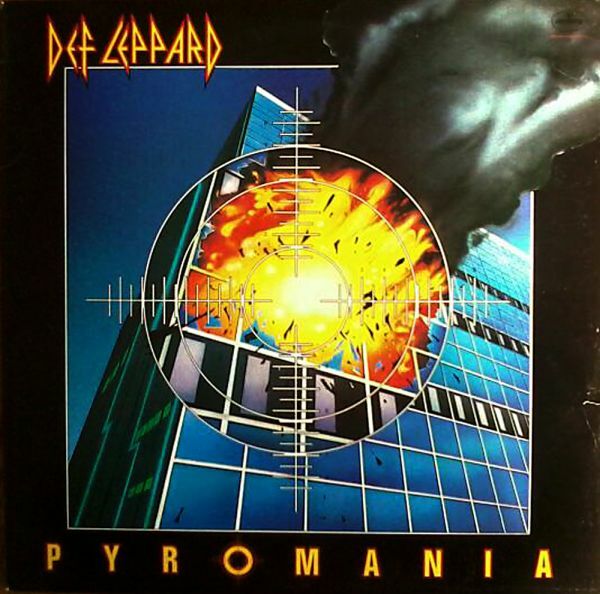 It’s been a while since we ran a Golden Oldies feature, but with Def Leppard’s classic Pyromania being 35 years old this very day it would be rude not to draft a few words about it. I “got into” Def Leppard around the time Hysteria came out, much as many did. The album was huge and without a doubt turned them into a massive global phenomenon. But without Pyromania, there wouldn’t have been the hysteria to follow. Although I played my copy of Hysteria to the point where the tape snapped, mainly due to repeated plays of “Run Riot”, Pyromania wasn’t far behind. While their first two albums, 1980’s On Through The Night and 1981’s High ‘n’ Dry (ah, the days when bands released an album every year) weren’t bad by anyone’s standards, the Leppard “sound” was solidified with Pyromania, released on January 20th 1983. A lot of that sound could be attributed to new member Phil Collen, who has remained with the band ever since. Collen wasn’t 100% responsible for the guitar on the album, as former member Pete Willis had recorded several rhythm tracks before being sacked. However, Collen did rattle off some of the solos – something that became his main task on later releases as he moved on to become the lead guitar from his initial rhythm role. Mutt Lange produced for the second time, having worked on the High ‘n’ Dry, and his familiarity with the band by this stage became apparent. That big sound, thumping bass drum, background chords making things sound like they were recorded in a cathedral, not a little box room with egg boxes on the walls… This was the sound that said “this band should be playing arenas, listen to it”, and it worked. Look at the tracklist as well. Great songs that have stood the test of time. Any of them could stand up in a modern day setlist from the band, and several do. A quick check of their recent gigs shows “Foolin'” in the main setlist and the encore consisting only of “Rock of Ages” and “Photograph” (one of two tracks which has Willis on the credits). “Rock! Rock! (Till You Drop)” could easily join them, an anthem written for opening a setlist. “Action! Not Words” and “Die Hard The Hunter” are another two belters. Essentially, this is an album that should never be overshadowed by Hysteria, despite the latter launching the band into the stratosphere. The two pair up well together and between them you have a double-album of classic 80’s heavy rock. Mentioned elsewhere on these pages, you can now get Pyromania and the rest of the band’s back catalogue digitally for the first time, and they’ll be touring the UK/Ireland at the end of the year playing Hysteria in full. Here’s hoping there’s a bunch from Pyromania as well!